Women who go through unplanned pregnancies face many challenges. One of the primary hurdles is higher education; how will ambitious future plans handle the time constraints of motherhood? Don’t confuse difficult with impossible, especially if you have a great support structure in place. Turning Point’s Next Steps program looks at each individual woman’s personal, family and professional ambitions, and then works to develop a concrete plan to achieve those goals. Achieving your “dream job” and being a successful mother aren’t mutually exclusive; Turning Point has assisted hundreds of women in the greater San Diego dealing with unplanned pregnancy challenges and tests, and with the Next Steps program, we’ll even provide the mentoring and inspiration to succeed on real-life, in-class tests as well! One of the ways Turning Point assists women in crisis pregnancies is through empowerment. We don’t look at an unplanned pregnancy as an immovable roadblock that will prevent you from realizing your dreams; on the contrary, it’s only a temporary detour along the way. An unexpected pregnancy followed by motherhood provides enough self-learning as many master-level university courses; in a way, an unplanned pregnancy might end up inspiring you to more than you ever thought possible! 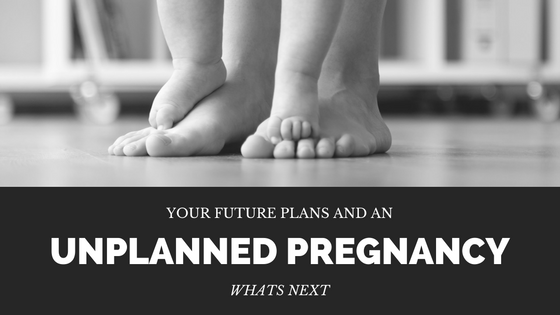 But first, let’s look at three different ways you can make an unexpected pregnancy and future plans work. Subtract at least one year off your original timeline. While a pregnancy is 9 months, the immediate aftermath – getting family support, managing the responsibilities of motherhood, etc. – is also a period of adjustment. Example: you’re on track to graduate in the spring of 2019, but just discovered you’re pregnant. Keep a positive attitude, do all you can to prepare accordingly, and bump back your expected graduation to the spring of 2020, or the fall, just to be safe. Don’t tackle personal goals by yourself. It sounds counter-productive, but raising a child requires considerable support from family, friends, and even advocacy groups (such as Turning Point). Similarly, to obtain all of your future goals, you need an effective support structure in place. Keeping with the teamwork philosophy from our previous point, it’s always a good idea to explore different avenues and find another way toward your goal. For post-high school education, for instance, there are many programs and grants available for new mothers; it’s just a matter of finding the right one. Turning Point’s counselors and staff have helped many women achieve their educational goals, all while still raising a child (or children). Turning Point offers a wide range of referrals, assistance programs and other means to help any woman reach her goals, regardless of the present situation. We believe present circumstances shouldn’t define future success – that’s what the Next Steps plan is all about. Set your goals and stay on track – contact Turning Point today! To speak with one of our counselors today, please call 858-397-1970.